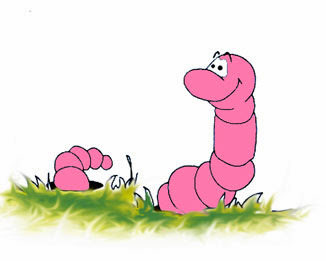 So your wet worm bedding has given you a "worm nightmare". What are you to do? Don't feed your worms soggy food. Don't let rain blow into your worm beds. Don't over-water your worm bedding. If you somehow break one of the above rules (shame on you!) and your worm bedding becomes too wet, here's what you can do. Remove your worms from the wet bedding and put into dryer bedding. Do this if the bedding is standing in water or is the very wettest. This "nuclear option" may be the only safe and surest way to prevent your worms from drowning. Mix dry bedding material into the too-wet bedding. Dry peat moss is acid, so be careful doing this. You don't want to push your bedding to the acid pH side by adding too much dry peat moss at a time. But, if your bedding is only slightly wet, you can safely add dry peat moss to soggy bedding and absorb the excess moisture. Mix in the dry peat moss thoroughly. Recheck to see if you need to add more or if you've add too little. Adjust accordingly. Add shredded newspaper, cardboard, or computer paper to your soggy bedding. This dry material is the safest, since it readily absorbs the excess moisture without affecting the bedding pH. Mix the shredded paper throughout the bedding and let it sit. Check back later to see if you need to add more or if you've added too much and the bedding has become overly dry (thing "Goldilocks", just right). Remove any lids or covers from the top of the worm bed. You should remove the covering on a too-wet bed anyway. This allows the moisture to evaporate and may be all you'll have to do. Put a light on over the bed to prevent crawling. There you have it. Take care of your wet bedding immediately and you'll wake up from your "worm nightmare" with very few losses. Worm Farm Manual: Covers extensively other worm bedding problems and fixes. European Nightcrawlers: This very popular fishing worm is not readily available. Be the first in your area to offer this excellent fishing worm. Is Your Worm Bedding Too Wet? Your worm bedding can become too wet for various reasons. The food you added contained more moisture. The humidity has gone up and the bedding isn't evaporating as much. You added more water than you realized. Rain blew in on the worm bedding. A too-wet bed is not a good thing. As a matter of fact, it can be deadly. It can also cause your worms to crawl away. Why is it deadly and why do worms crawl when the bedding becomes too wet? Worms breathe through their skin. When the bedding is too wet, oxygen cannot transfer through their skin and the worms actually drown. The worms crawl because they can't breathe. Do you blame them? If they don't crawl, they die. Bedding that is too wet is also susceptible to mites, mold and "souring". The bottom-line: You don't want your worm bedding to become overly moist. The best remedy for too-wet worm bedding is to not let it get wet in the first place. Sometimes, though, it just creeps up on you. You don't realize the weather has changed from hot-and-dry to cool-and-damp or hot-and-humid. You've been adding water like crazy during that hot dry spell, then all of a sudden, it's not. You're in a mode of operation, zoned out, worrying about a zillion other things and you just keep watering the same every day. Or, you've gotten a supply of free worm food, maybe some "spent" grain from the brewery. It's wetter than what you've been feeding. The moisture in the feed trickles down through the bedding and gradually saturates it. Or, it rained like crazy one day. A record 7 inches of rain blew in that open window, under that tarp, or through that shed roof, and filled up your worm bed. Whatever happened, that one day, you go to your worm beds and there are worms all over the place. On the top, up the sides, over the edge, on the floor, out the door. The more worms you have, the worse it is. It's called a "Worm Nightmare". Everybody has one every now and then (a few unfortunate souls all the time) and it is truly a nightmare. If your bedding becomes too wet, what are you to do? Well, according to just how wet it is, there are some things you can do. But whatever you do, do it quickly. Your crawling worms are dying and your un-crawling worms may already be dead. Next post.... what to do. Worm beds and worm bedding how-to's are extensively covered in my Worm Farm Manual. There is a record heat wave across the country. Maybe it's time to talk about hot weather, what it means to your worm farm, and steps you can take to minimize any harm to your worm population. Heat kills worms. If it doesn't kill them, it can make them sick, slow them down, make them crawl. So what steps can you take to keep your worms cool during hot weather? Make sure you keep your worms moist. 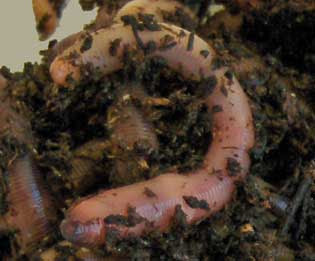 A a matter of fact, keep your worm bedding somewhat wetter than normal. Careful now. Not too wet, but a little wetter. The moisture keeps the bedding cooler, which keeps your worms cooler. Never, ever let your bedding get too dry. As the bedding drys out, it gets warmer. Heat isn't the only thing that kills worms. If the bedding gets too dry, the worms dry out, too and that will kill them just as dead. Make your worm bedding deeper. It will dry out slower and also gives the worms a cool place to retreat from the heat. Keep your worm beds out of the sunlight. Any sunlight hitting your bed will heat it up quickly. Put up extra sunshade of some kind if there is a chance the sun may hit the worm bed. Don't over feed. Excess food can heat up more quickly during hot weather, further heating up your worm bedding. You can always add more food if it gets eaten up too quickly. Keep an eye out for more hatch-lings. The warmer temperatures brings about more egg hatch-lings and you could have a bed full of young worms overnight. These extra babies can drive your bigger worms over the top. Watch out for mites and flies. The record heat can bring on record pests. Mites can overtake your bedding in short order and flies are the bane of summer. They can lay their eggs in your worm food. Keep a landscape cloth over your bedding to prevent the flies from getting in the food and bedding. Hot weather can be a worm killer, so be every vigilant during these "dog days" of summer. Red Worms and European Nightcrawlers: These are the most popular worms to grow. VermaPlex®: Add to your worm bed and as you feed to eliminate mites. Makes worms grow bigger, too. 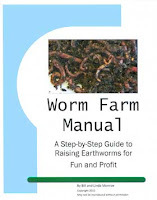 How To Worm Farm: More useful information about worms in hot weather and much more. We've talked a little bit about what TO feed worms. Now, let's discuss what foods are potentially harmful to your worms. This would include pressure treated wood. The active ingredient is cyanide, which is poison. Remember, anything meant to kill pests also kills worms. Any plant material treated with insecticides or weed killers. Once again, anything used to kill anything also kills your worms. Most colored inks, especially yellow, is toxic to people and worms. Carbon paper (does anybody use it anymore?) is also toxic. Stick to black and white, paper and ink. Doctor's orders, avoid salty foods. That goes for your worms, too. No, it won't raise their blood pressure, but salt is a no-no in raising earthworms. Soaking salt containing food stuffs in water before feeding it too your worms removes the excess. Or, avoid salty foods altogether. Feed lot animals are fed huge quantities of salt before slaughter to bulk them up. The salt remains their manure. These manures also contain a lot of urine. Adequate leeching removes most of the salt and urea acid, if you're industrious enough. You can also compost the manure for a year. The rain leaches out these harmful substances. Don't use any meat-eating animal's poop. It may contain viral or bacterial toxins and just smells bad. Excess citrus peels or pulp. You can feed a small amount of citrus, but too much creates acid bedding and that should be avoided at all costs. As a matter of fact, I don't feed citrus. This includes vegetables covered with vinegar based salad dressings. Again, it's the acid. Worms will eat it, but it's not pleasant. Meat smells bad, attracts vermin, and can contain antibiotics and hormones. Makes you want to become a vegetarian, doesn't it? Adding lots of fresh, green grass clippings heats up your bedding as it decomposes. Pile up grass clippings somewhere and allow them to compost before feeding to your worms. Very bad for your worms. Make your worms teetotalers' and skip the booze. Now, "spent" grain is another matter - very good worm feed. Worms are by nature "organic". Avoid anything containing fertilizers. Some manufactures of peat moss add fertilizer to it. Stick to plain sphagnum peat moss for your bedding. Diseased plants or animal waste. You don't want to spread anything around, so don't feed any materials from diseased plants or animals. Seeds have protective qualities that prevent them from being consumed. If worms could eat them, there would be no new plants sprouting in nature. Seeds won't hurt your worms, but they won't go anywhere either and just get passed long in the valuable vermi-compost byproduct you'll want to use or sell. Keep your vermi-compost seed-free as possible. Use non-chlorinated water to moisten your worm bedding and food-stuffs. If you don't have access to non-chlorinated water, simply fill a container with water and allow to sit overnight. The chlorine will dissipate. For everything else: When considering a potential worm food, ask yourself "would I eat this?". If the answer is "no", then don't feed it to your worms. Get more worm feeding do's and don'ts from my comprehensive worm farming guide. And a handy starter supply of red worms and European nightcrawlers puts you instantly in the worm farming business. Many of you out there have asked how to get newly hatched worms out of the breeder bed and into a growing bed. Here's a quick. easy and gently way to do just that. Cut a piece of small gauge hardware cloth smaller than the top of your worm bed (probably 1/4 to 1/3, according to how many worms you want to capture). Place onto the top of the worm bedding. Pile onto the middle of this screen your worm feed (horse manure or rabbit manure works best. Cover the feed and screen with a piece of landscape cloth to block any light. The baby worms will crawl up through the hardware cloth and into the manure to feed. The bigger worms won't be able to crawl through the screen. The next day or after a few hours, remove the landscape cloth and pick up the screen containing the manure and baby worms. Dump it onto the top of the newly prepared bedding of a new bed or an existing growing bed. Repeat this process until you have removed as many baby worms as you want. This method minimizes any harm to the fragile newly hatched worms. 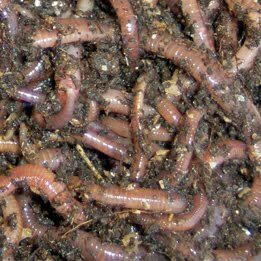 Your baby worms are now into a growing bed, where you can let them grow up into big fat breeding worms or market as bait/compost worms. European Nightcrawlers: The absolutely best fishing worm. Great for vermi-composting, too.